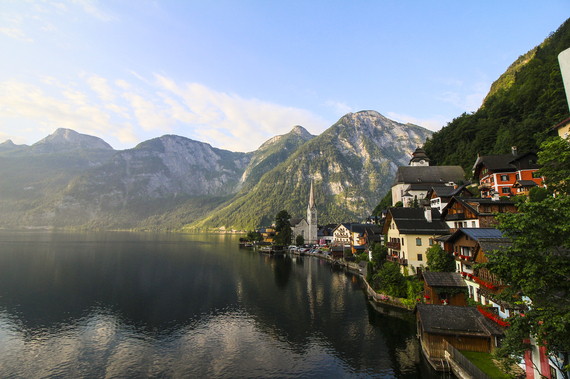 The town of Hallstatt is a UNESCO World Heritage Site and I can definitely see why, but for a place that hardly gets any sun in winter, and has temperatures that often stay below freezing, it's a wonder that people would choose to build a town and live here. Why is this such a popular spot? 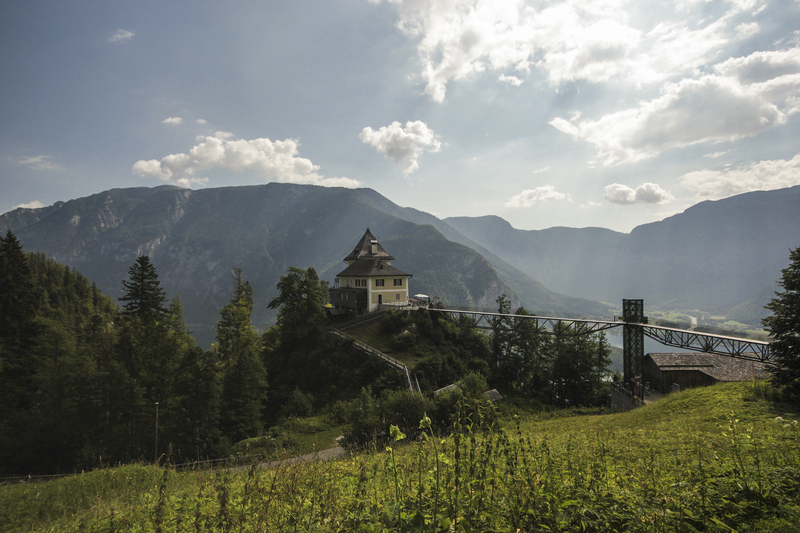 Hiding deep in the Dachstein mountains, not too far from Salzburg, is a small town that has the charm of something out of a fairytale. Picture a one-church town, surrounded by towering mountains, sitting beside a glasslike lake; the only thing you hear are trickles of ice-cold water running from a small stream into the deep blue body of water. 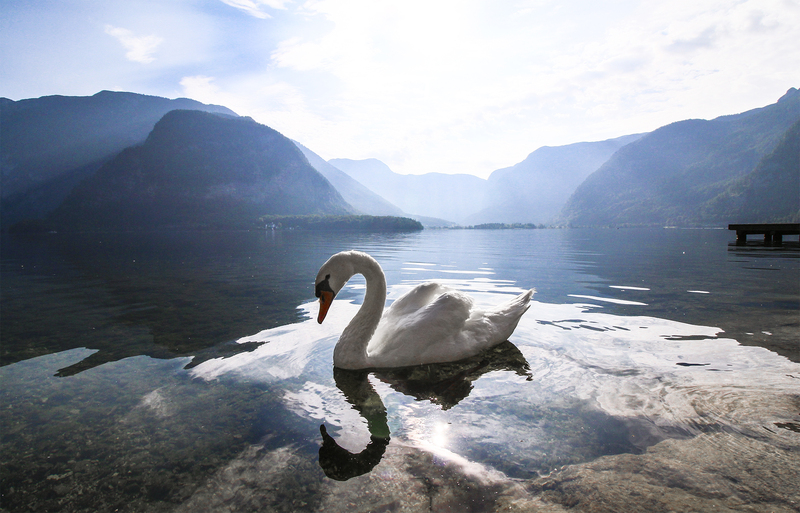 As you look across the lake, the scene is broken up only by the sight of majestic white swans catching the first light. 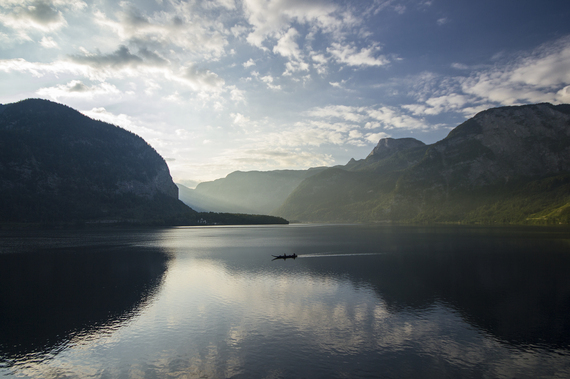 Could this be the most perfect place on Earth? 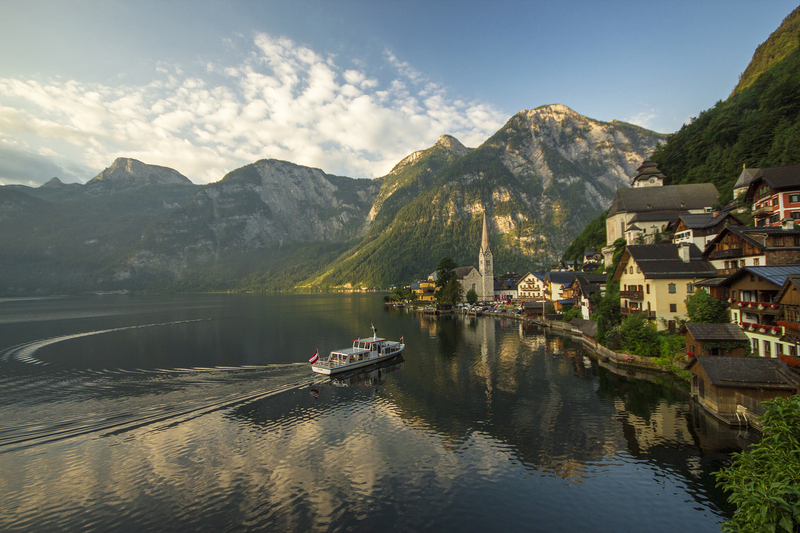 There must have been fairytales born from this spot. If not, we might just have to write one. The town of Hallstatt is a UNESCO World Heritage Site and I can definitely see why, but for a place that hardly gets any sun in winter, and has temperatures that often stay below freezing, it's a wonder that people would choose to build a town and live here. So why is this such a popular spot? It all comes down to salt. 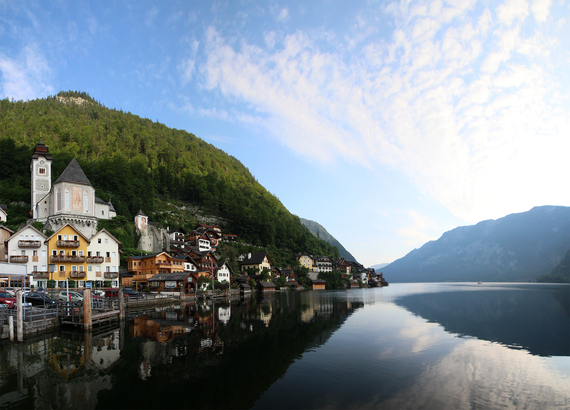 Hallstatt has one of the earliest-known salt mines, dating back to prehistoric times. And for a town built on salt, they sure had taste. 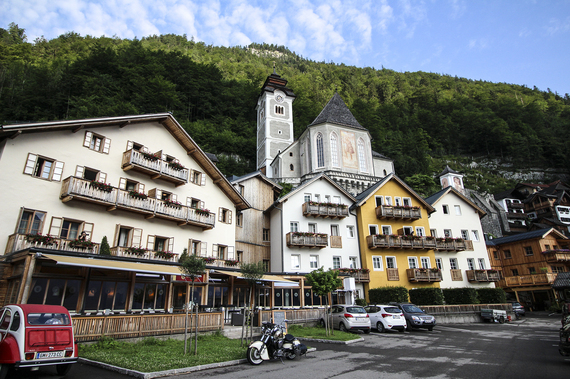 The quaint architecture of the houses built into the mountain, and the small town square sitting in the centre, are a photographer's dream. 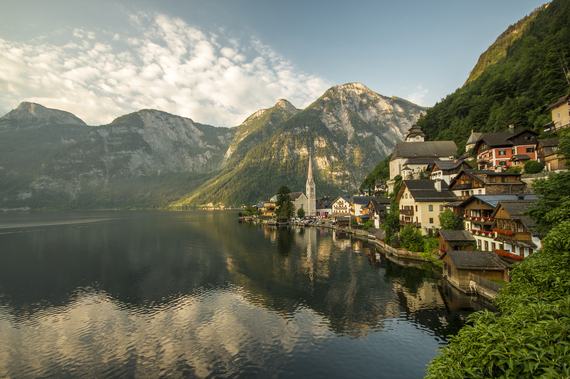 The look of the town is so enchanting, that even the Chinese decided they wanted one too. So in late 2011, a Chinese mining company built a full scale replica of the entire town. 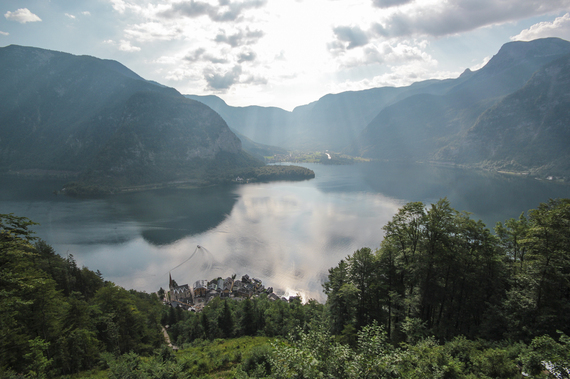 As you can imagine, some Austrians were a bit skeptical about this, but the mayor of Hallstatt saw it as an opportunity to boost tourism, and personally attended the opening in Louyang, China. 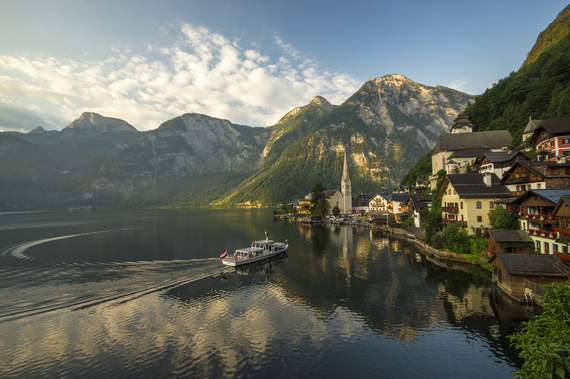 Today, thousands of Chinese tourists visit the small Austrian town each year, paying homage to the original Hallstatt. Below you can see why it was on our Wanderlist, and we cannot help but wonder why it wouldn't be on yours. To follow our story, check out howfarfromhome.com or find us on Instagram, Facet or Twitter @HowFarFromHome.